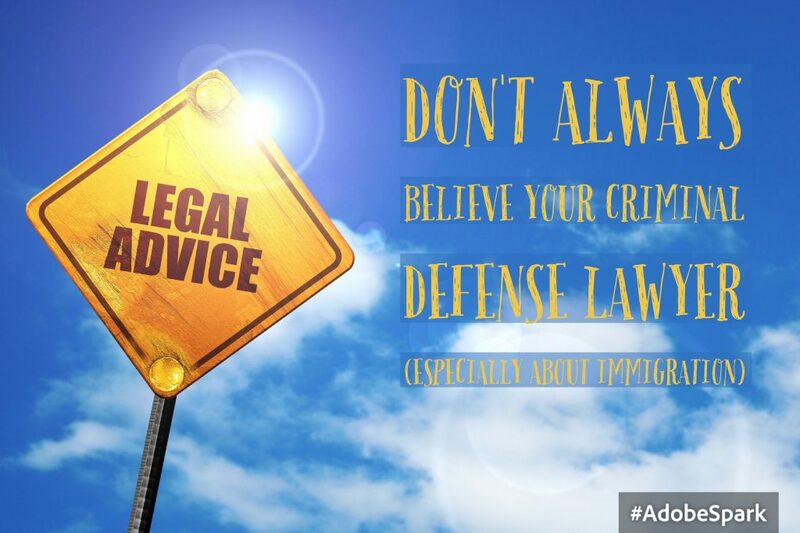 If you have a criminal case and are not a citizen, try to find an attorney or law firm who understands both criminal defense and immigration law. There are few areas of law more complex and ever-changing than crimmigration (that is, the intersection of criminal and immigration law). An attorney or law firm who does not focus on both areas of law will not be able to foresee as many potential pitfalls down the road. Whether a criminal offense makes you deportable is not the only question that must be answered. Will a specific criminal conviction lead to prolonged detention while fighting a deportation case? Will a specific criminal conviction preclude or delay you from becoming a United States citizen. Will a specific criminal conviction prevent you from reentering the country if you leave, even though it did not make you deportable? These, and more, questions can only be answered by a lawyer who understands both criminal and immigration law.